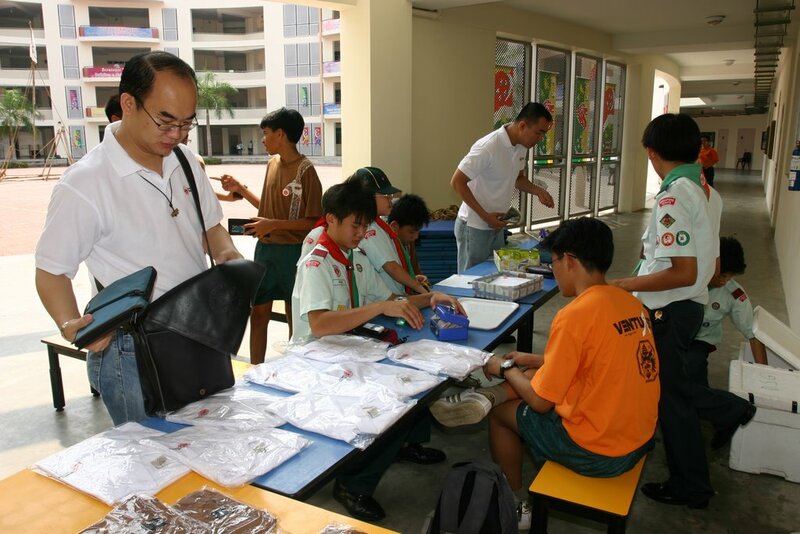 The event more commonly known as DSG day, this eventful day was very special to me, evoking many many memories back to the days when I was a Boy Scout with the Dragon Scout Group (1990 to 1993). 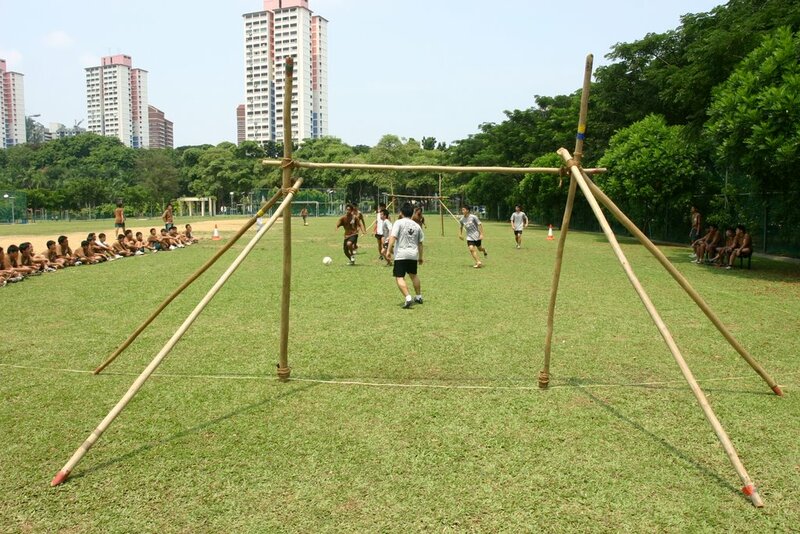 It was usually a football competition between the patrols and the tradition still remains today. Before that, we had a Group photo taking session, I took the opportunity to take Group photo with another fellow Dragon Scout, Nicholas Chee. I felt very proud to be able to take the Group Photo again, the last one I did was in 1993 when I helped to take the Group Scout photo for the 70th Anniversary. I looked foward to play a supporting and guiding role with the Scout Group and contribute back to the Dragon Scout Group, for all the invaluable knowledge and friendship I developed over the years till date. 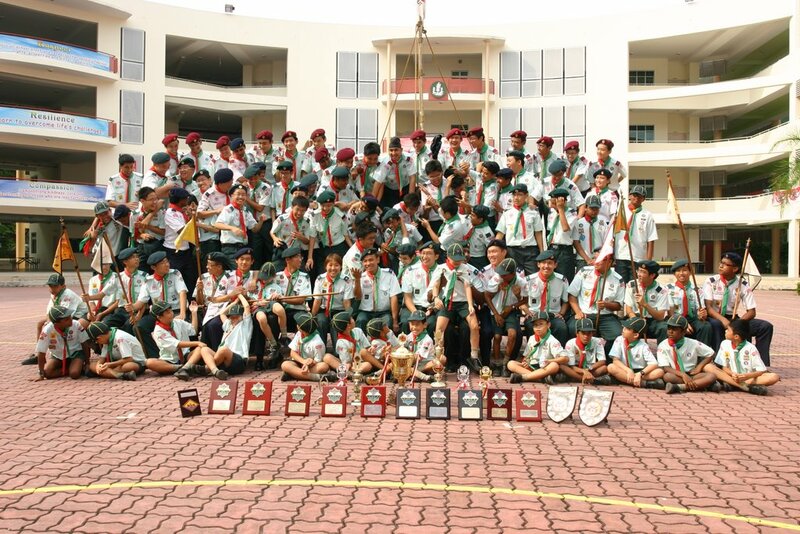 I would look foward to pass on my scouting and life experiences to the juniors (in time to come & in stages). 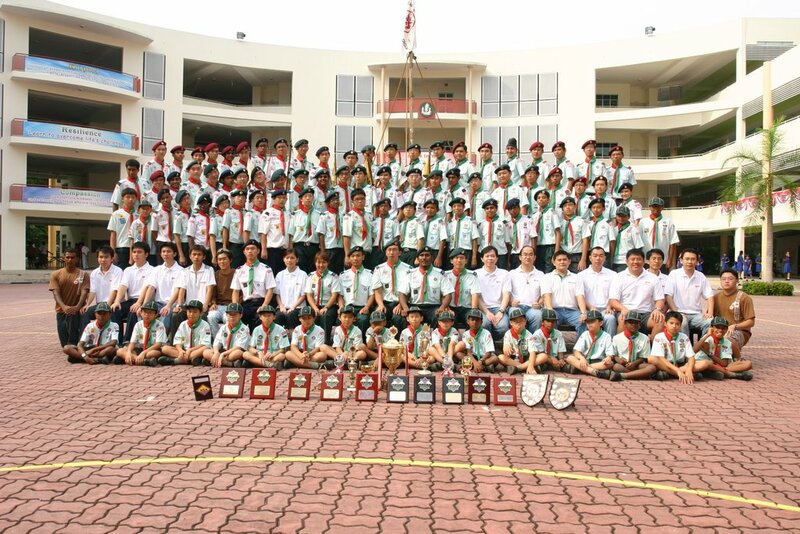 After a serious and funny photo taking session with our Radin Mas Primary School brother scouts, Dragon Scout Group with their ventures, leaders and old boys. The Dragon Chapter proceed on with a short informal meeting and mixing with the younger folks. We were also planning for our Dragon Scout Group campfire on 2nd September 2006. For all the old boy scouts out there, mark the date down and let’s all come back and enjoy the good old days we always love when we were Boy Scouts! We later went around and watched the football matches played between different patrols and our new Dragon Chapter members (youngest members) went to the final and challenged Barracuda Patrol for the Holy Grail, it was a very intense and exciting final with Dragon Chapter and Barracuda coming very close to scoring goals galore. However, the match ended 0-0 (FT) and 0-0 (AET). This led to the the dread penalty shoot-out, both sides were scoreless until Barracuda broke the deadlock with the sudden death penalty kick. 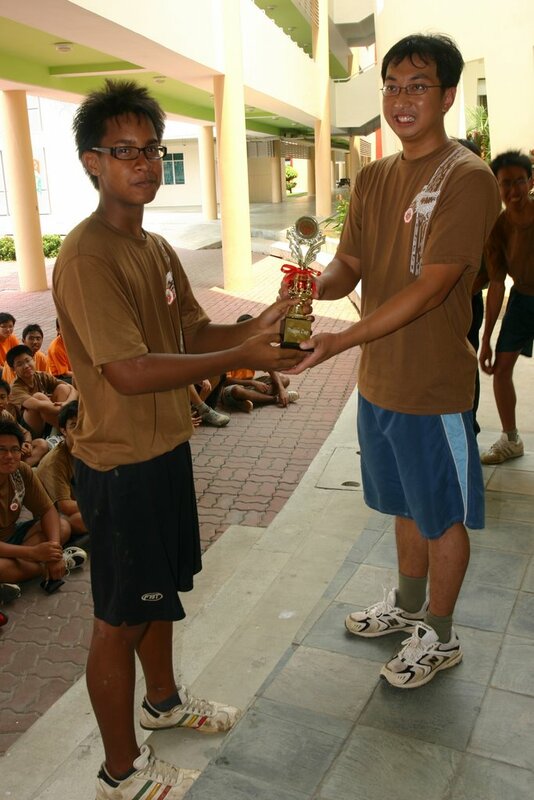 Congrats to Barracuda Patrol on winning the Cup and Dragon Chapter left a mark in the history of Dragon Scout Group on 12 August 2006. 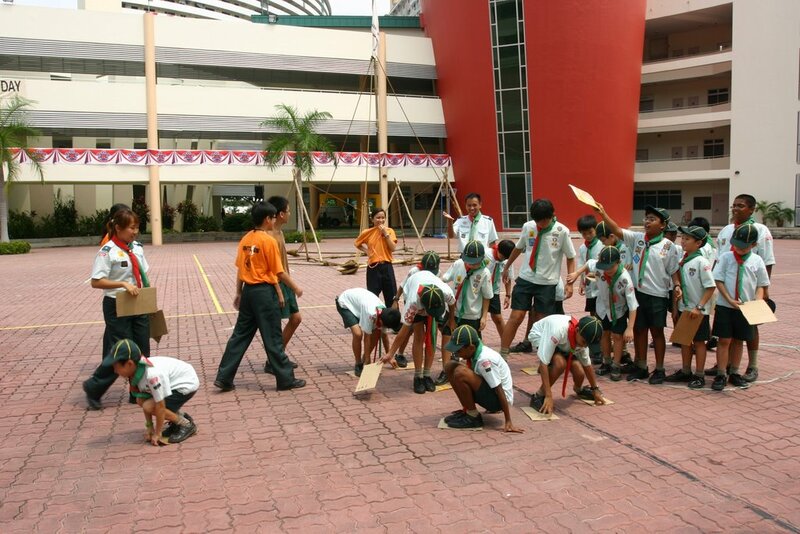 As for the Radin Mas scouts, they had their own games and they were really having lots of fun, how nice and lovely those kids were enjoying themselves. Don’t we sometimes wish for life to be fun, laughing and enjoyable? 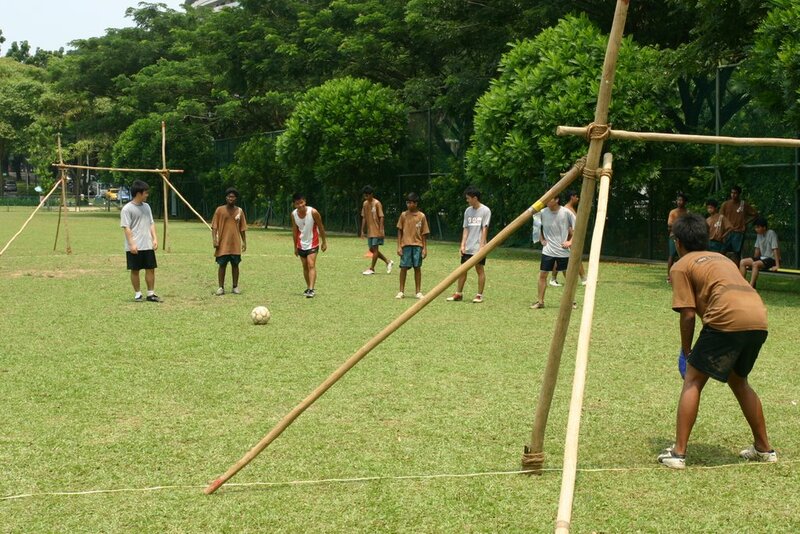 My Scouting Life with Dragon Scout Group gave me that….. Finally, lunch time ! Great food (I was very hungry) and a big happy extended family gathering tucking in. Lots of chit chat and reviving our scouting memories. The photos would be uploaded to the forum soon, still arranging with Hongliang. For you old boys out there, do keep a lookout and pop in and read my postings on our Dragon Chapter activities and Dragon Scout Group activities too ! Cheers to all and have lots of fun! Big thanks to Hongliang for inviting us back to Dragon Scout Group Day and be part of the Group photo taking !